When you enter the restaurant, you will be greeted by their lovely staff and some soft music playing in the background. 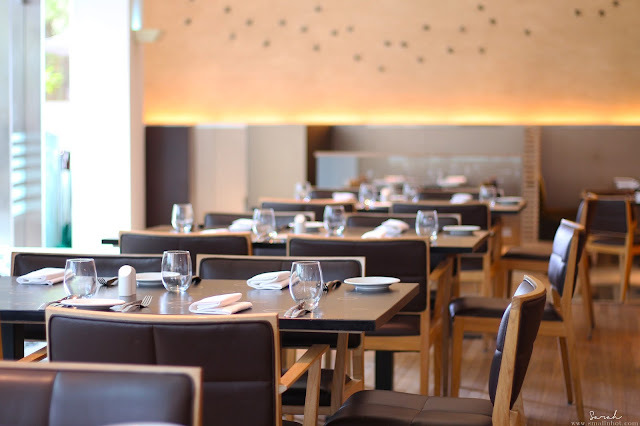 The roomy tables and comfy leather chairs, occupy a spacious dining room that is sleekly lit with warm yellow lighting and windows that bring in natural light,.. which gives the place a very warm and cozy ambiance. 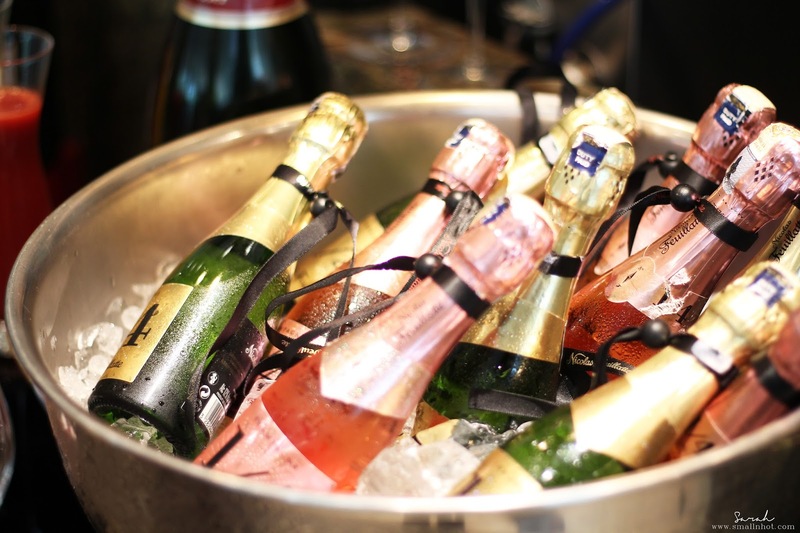 A luscious affair for all, the scrumptious Sunday indulgence includes an extensive mouth-watering spread of classic brunch favourites as well as bottomless bubbly experience, featuring the superb elegance of Laurent-Perrier champagnes. 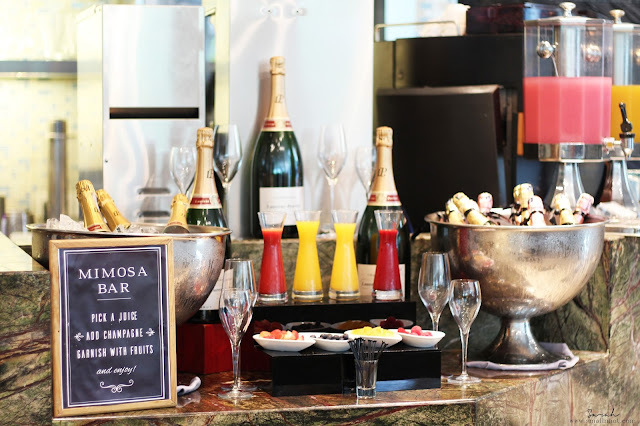 For champagne lovers, you'll also get to customize your very own, preferred savour at the Mimosa bar with freshly squeezed juices and choices of orange, wild berries, lychee, peach and strawberries for garnish. 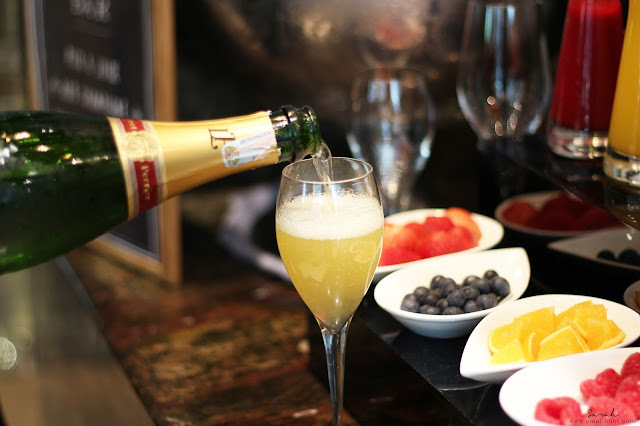 We started with a glass of Orange Mimosa's,.. a well known brunch delicacy made with just the right amount of Laurent-Perrier and orange juice, which will surely lightened up your mood right away. 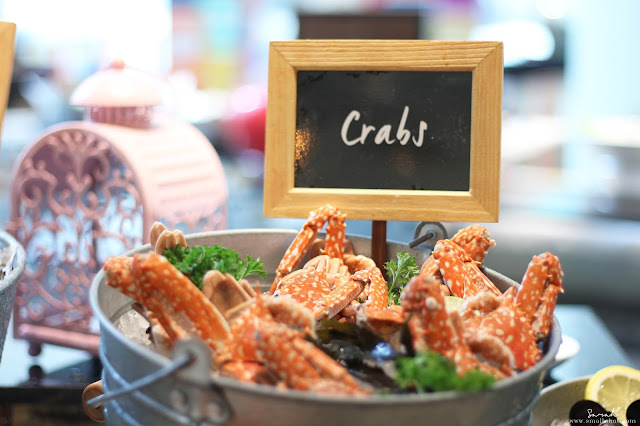 For seafood lovers, there are six types of fresh seafood on ice to satisfy your cravings, which includes Fine de Claire oyster, Australian spanner crab, pacific prawns, blue yabbies' slipper lobsters, New Zealand green lip mussel, alongside succulent Alaska king crab. 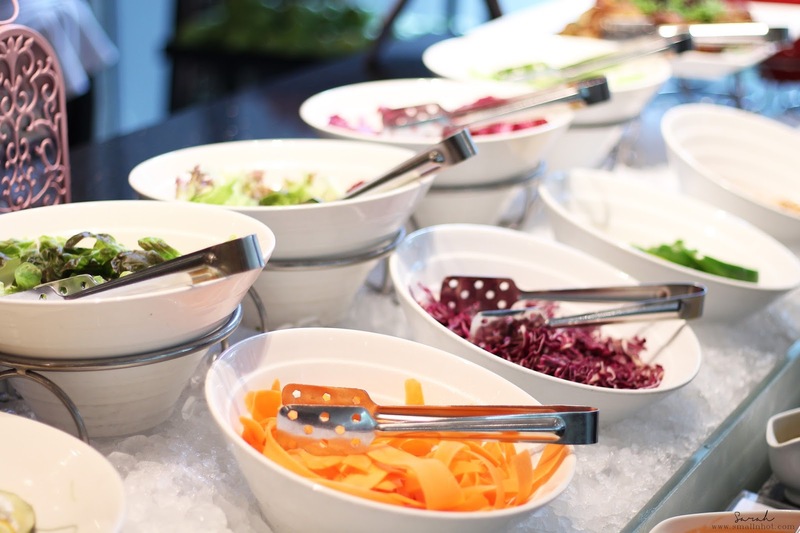 The salad counter has also included a cold selection of crisp salads with a variety of dressings and condiments. 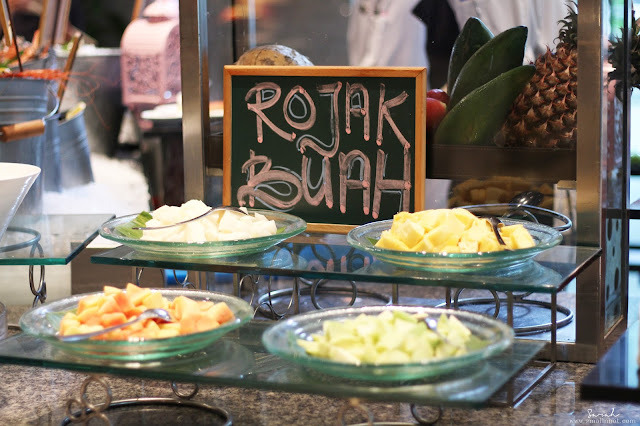 Other than that, there's also the Malaysian style salad, Rojak Buah for diners who prefer the local touch fruits salad. 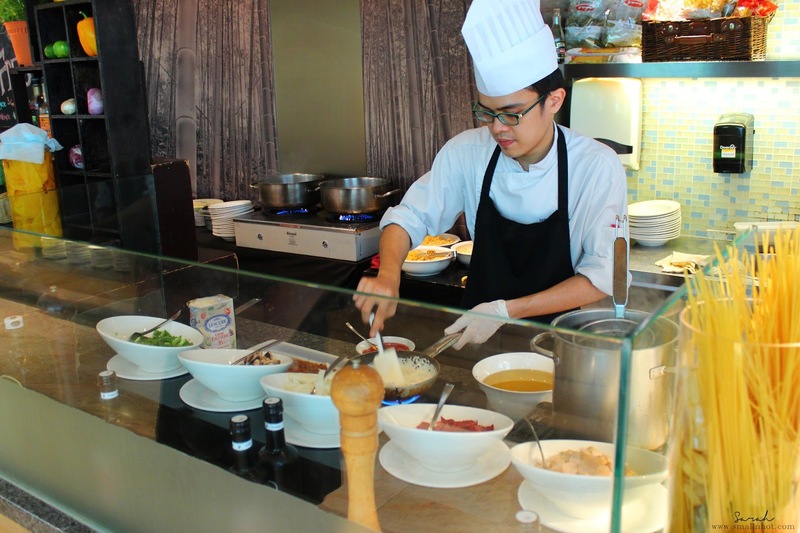 From the carving station, we're quite sure not many restaurants in KL serve Baked Beef Wellington. 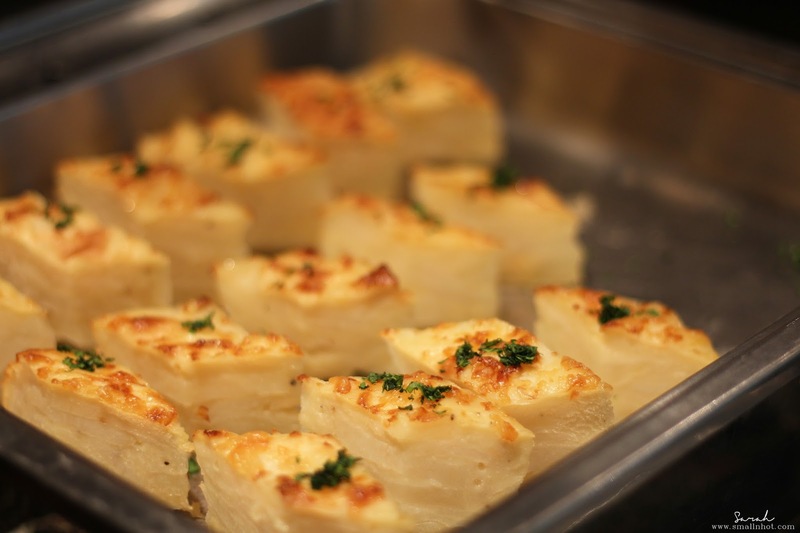 and it was quite a popular dish with diners. 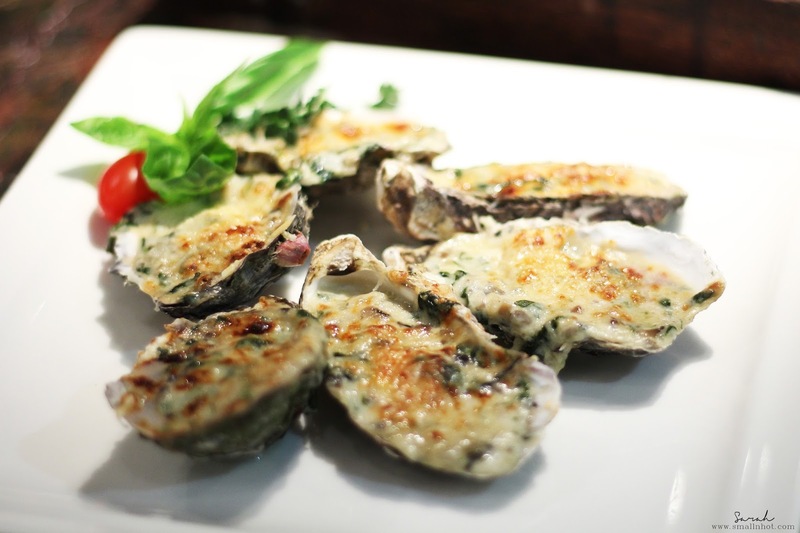 with its crispy pastry crust wrapped around the tender and juicy beef. 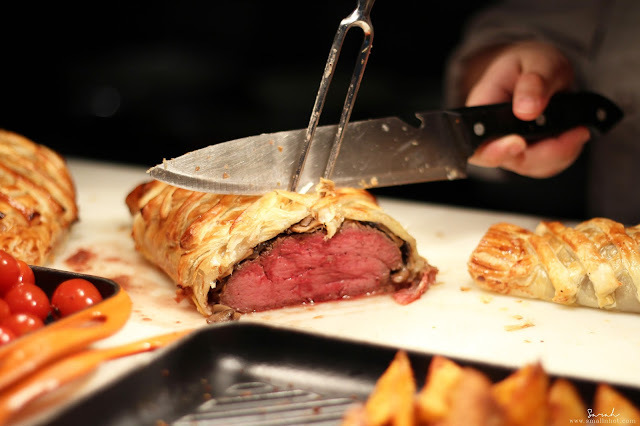 I especially enjoyed the Baked Beef Wellington as it was remarkably flavorful and crunchy. 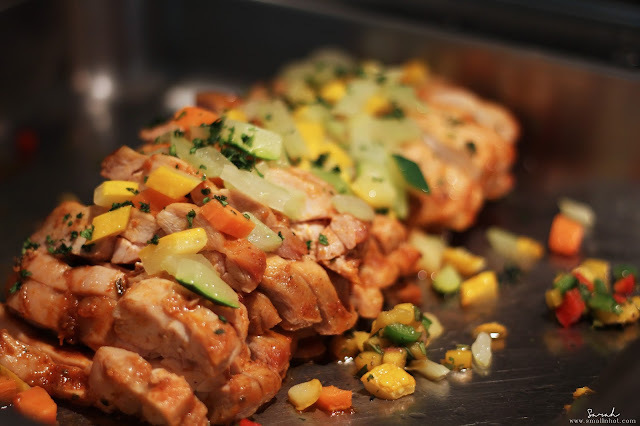 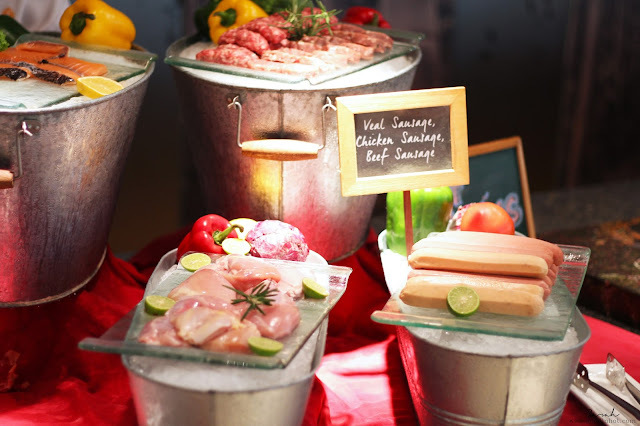 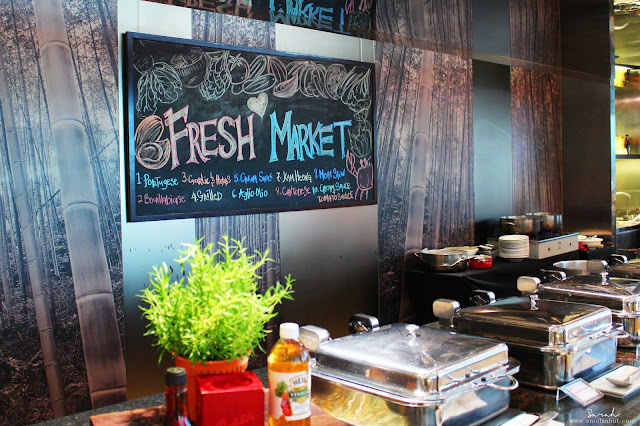 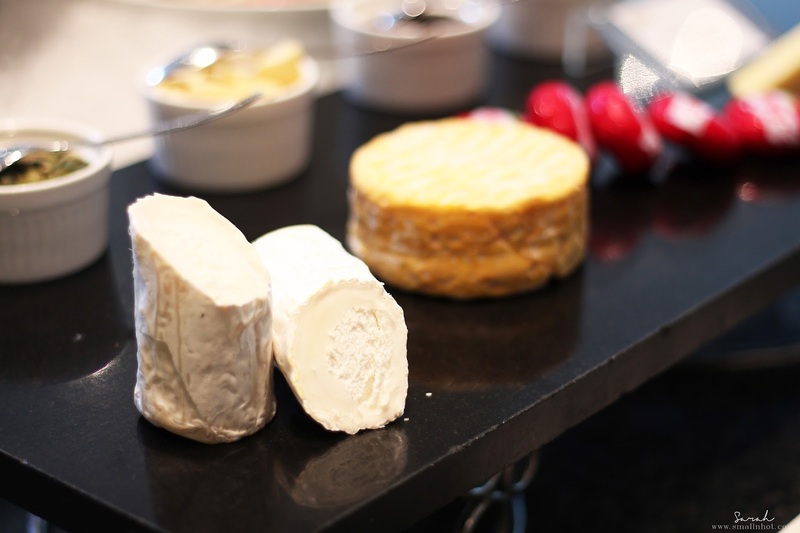 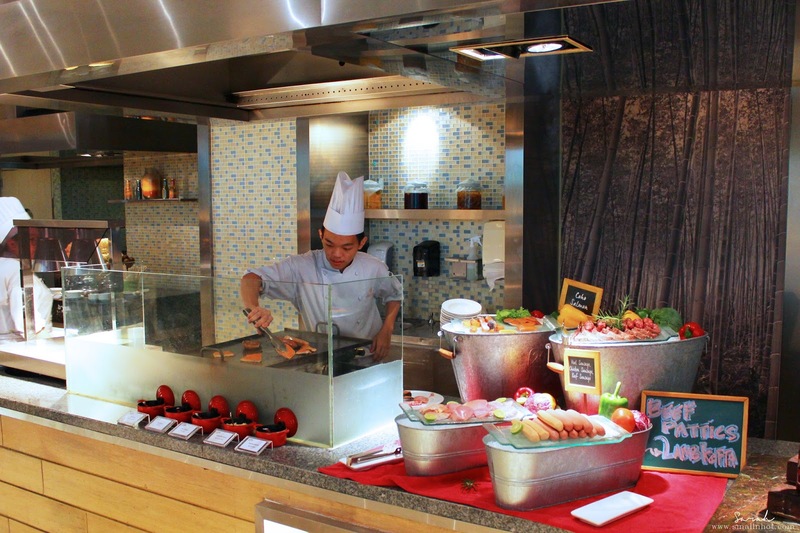 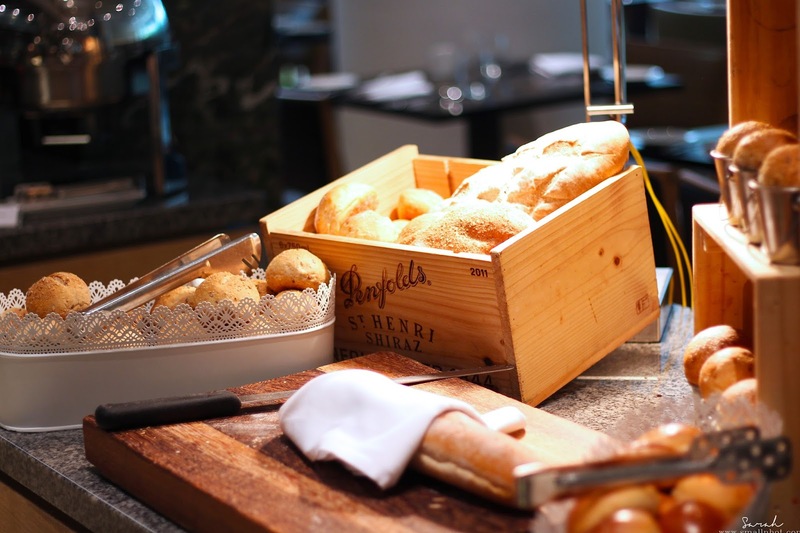 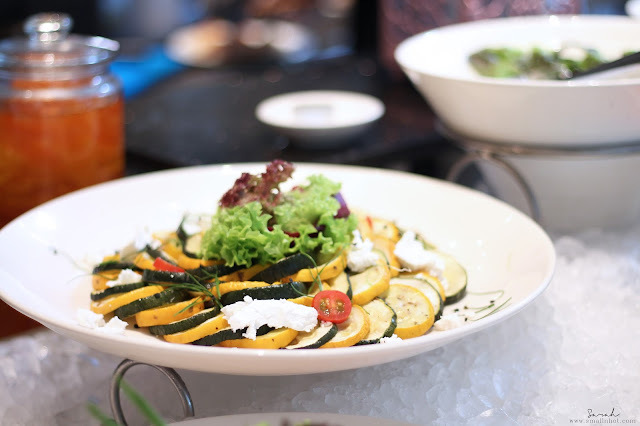 If live stations is something you look forward to at buffets, then your in luck the brasserie has live stations with a Fresh Market kind of feel to it, where you can pick and choose your ingredients and have it made to your liking. 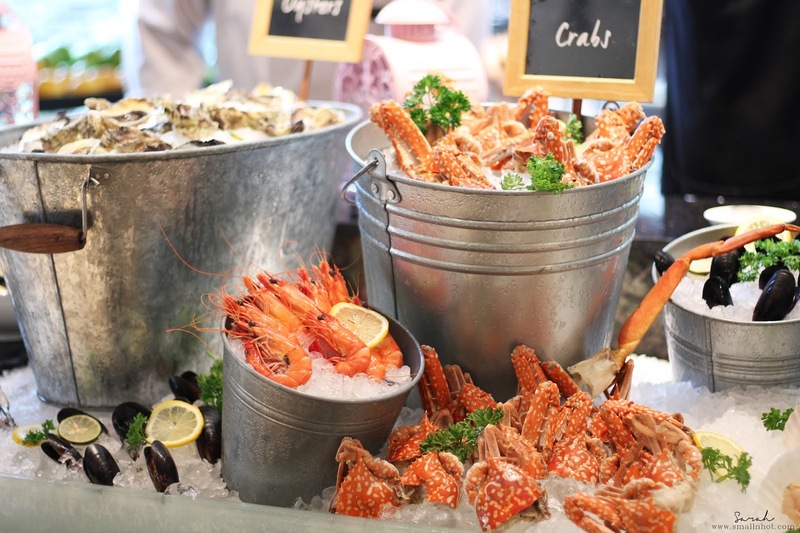 The live station indulgence includes top quality range of prime cuts, chilled sirloin, Norwegian salmon, slipper lobster, lamb chop and kebab, beef patties, tiger prawn and made to order pasta with choice of homemade sauces. Do try their Aglio Olio pasta with grilled salmon, it's delectable. 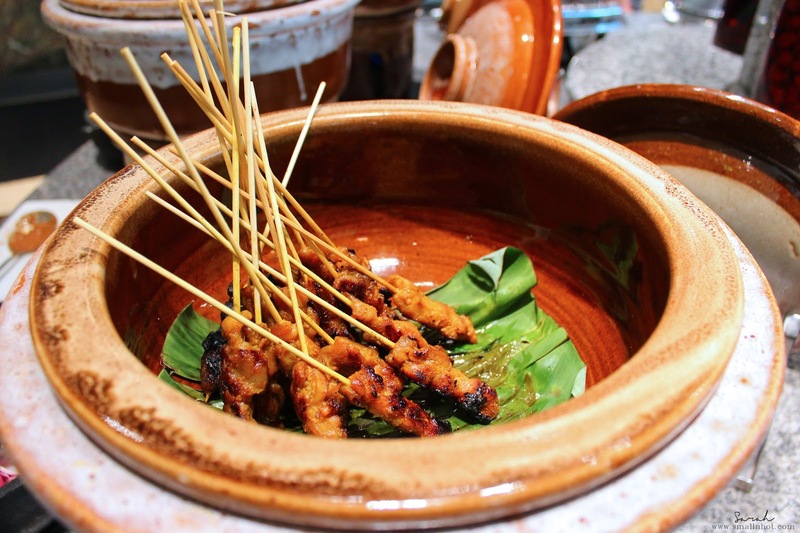 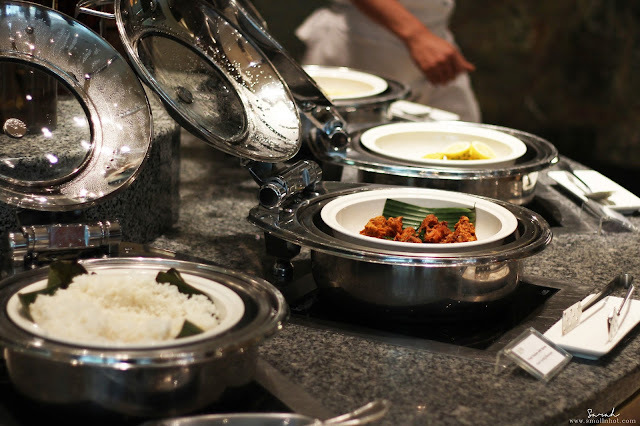 In case that is not enough for your lazy afternoon, the Sunday Brunch also included some local delights, such as Ayam Goreng Berempah (Crispy Spiced Fried Chicken), Cantonese Stir-Fried Prawns, Kung Po (Spiced Stir-Fried) Squid with Cashew Nuts, Satay, Dahl and many more. 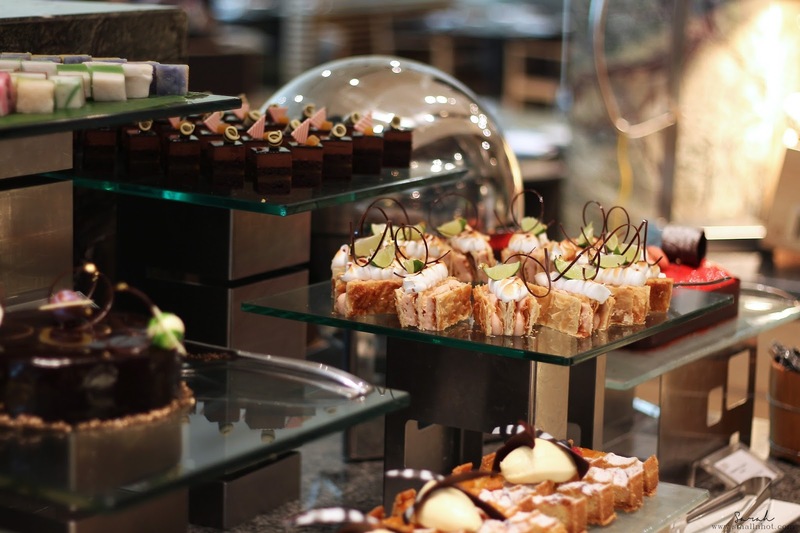 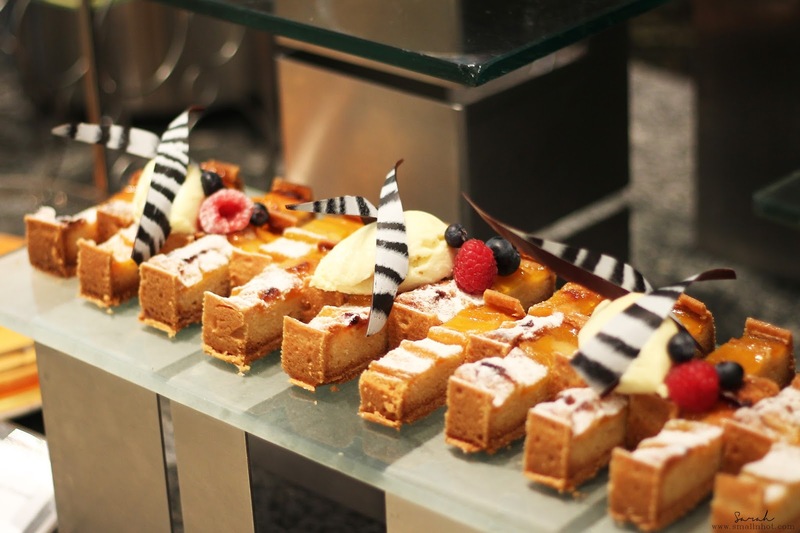 The Dessert counter at the Intercontinental Hotel KL is definitely a must check out! The sweet treats by acclaimed pastry chef, Chan Eng Hua include the luscious crepe samurai, delightful chocolate raspberry tartlets, pavlova, mille-feuille, mango lassi mousse with hazelnut crumble, coffee cream cheese mousse and last but not least a chocolate fountain with assorted marshmallows and dried fruits for you to choose from. 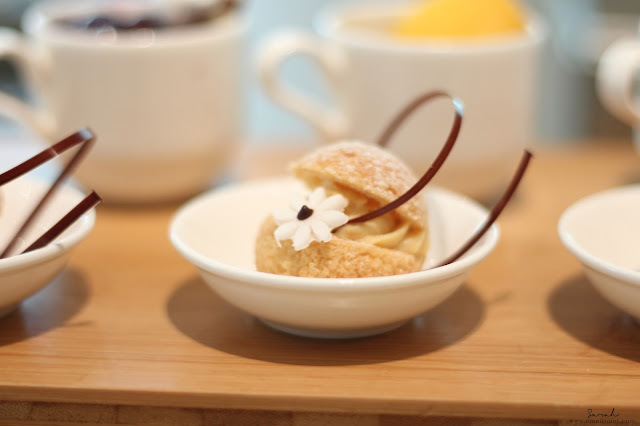 For me, the ice-cream is something you should never miss as there some really interesting artisan ice-cream combinations by Kapiti NZ, That would be a delight top off the end of the afternoon. 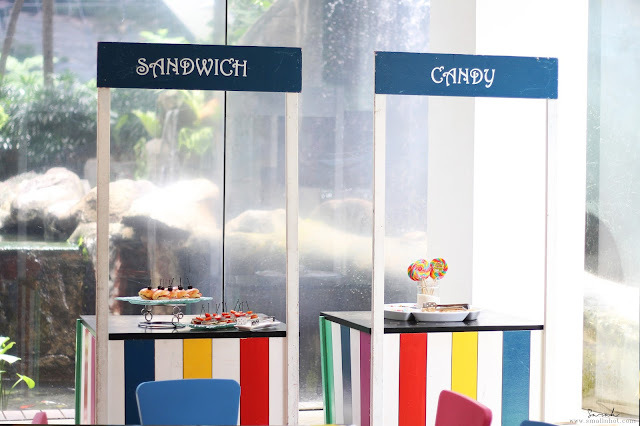 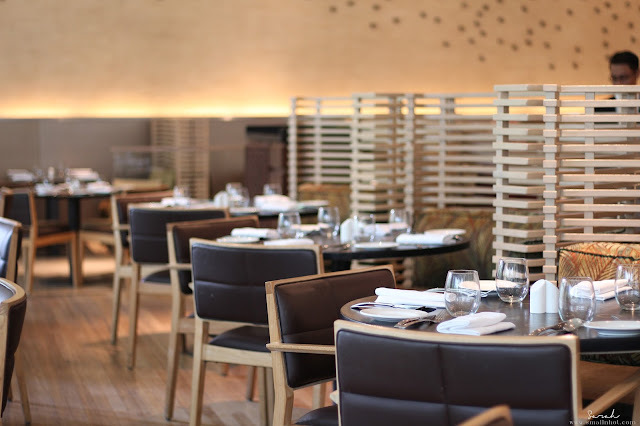 Serena Brasserie also has a dedicated children's corner for the little one, where they can munch away with theire very own mini spread featuring super salad, egg sandwich, cheese sandwich, fish fingers, chocolate brownies, cookies and candies. 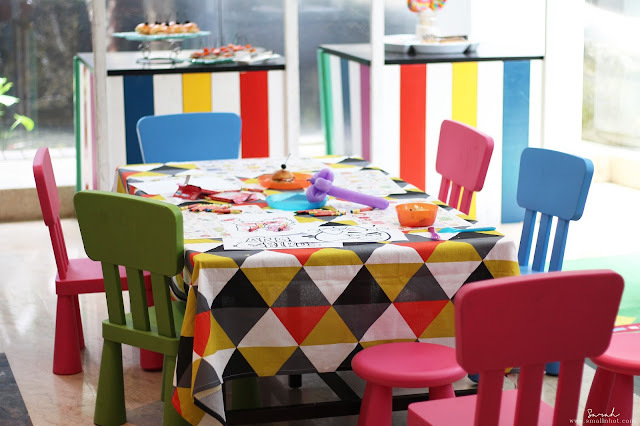 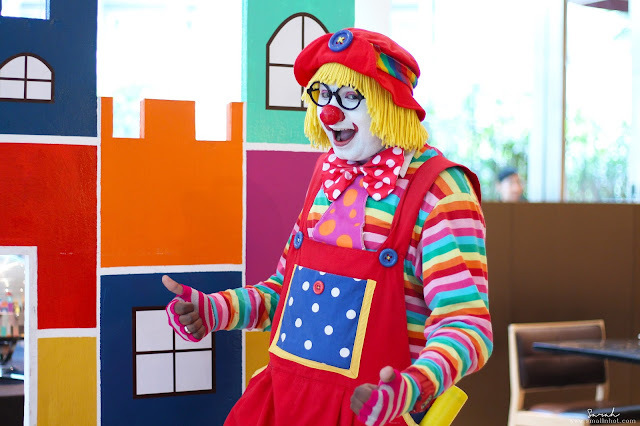 Also there's a balloon clown and cupcake decoration activities to keep them entertained, while the adults enjoy their conversation between family and friends. 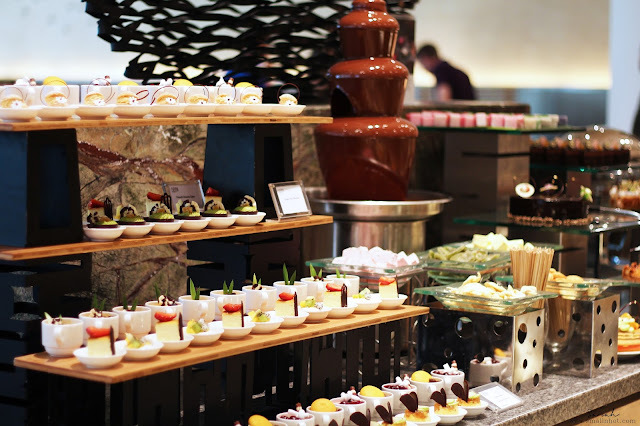 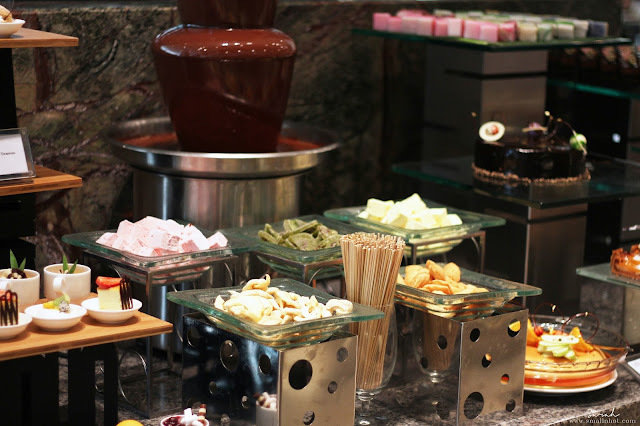 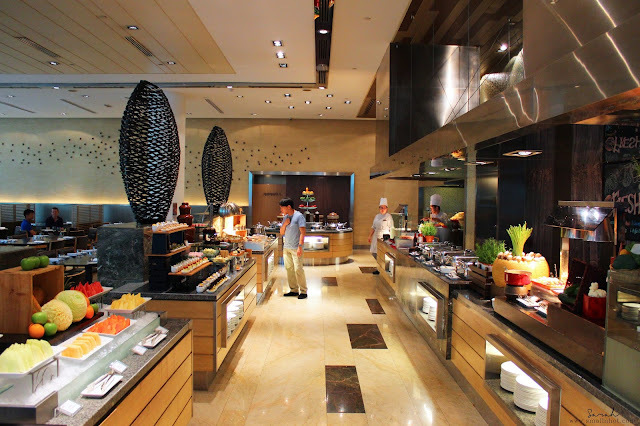 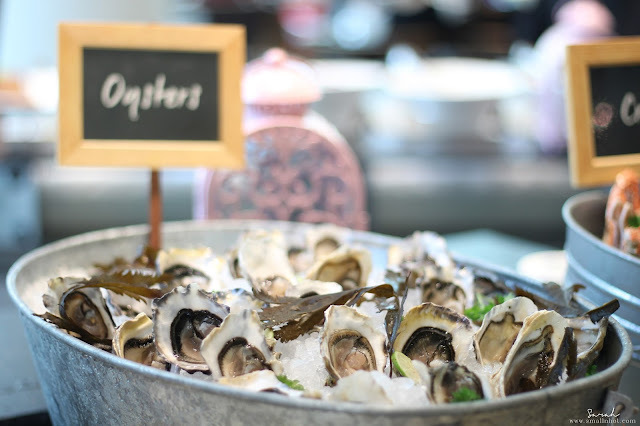 Overall, The Sunday Bubbly Brunch Buffet at Serena Brasserie, Intercontinental Hotel KL. It's an ideal place for a luxurious Sunday brunch with a warm and cozy decorated restaurant that has friendly wait staff and fabulous food. 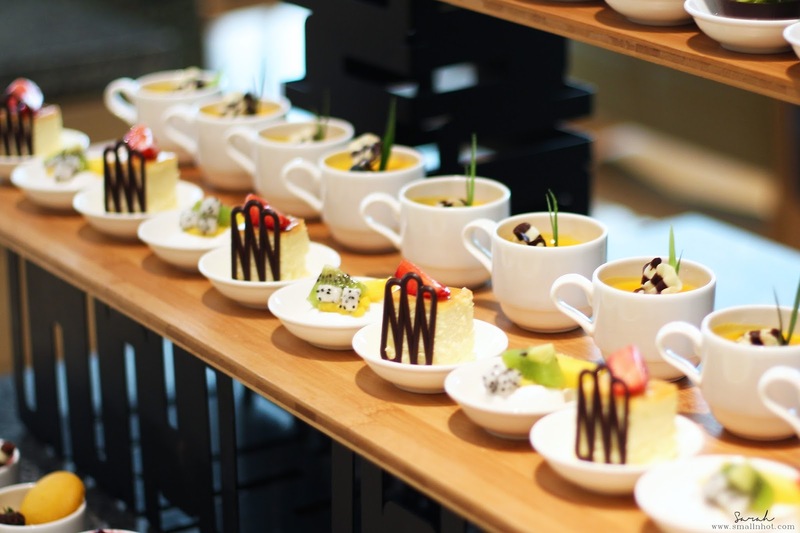 In case you didn't know, to celebrate the launch of the newly refurbished rooms, the hotel offered guests YOUR RATE, an exclusive IHG® Rewards Club member only rate which they can get up to 35% savings. 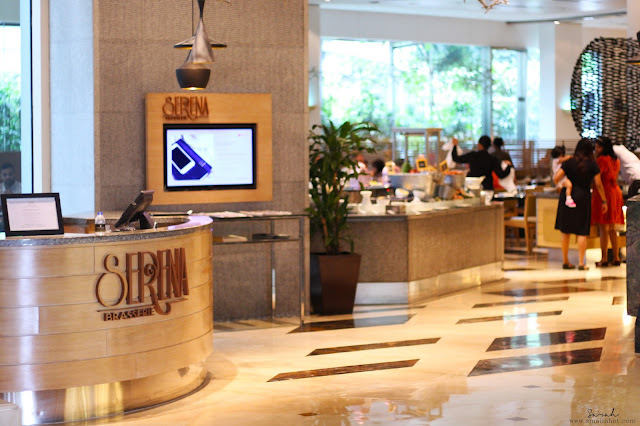 Book directly with InterContinental Kuala Lumpur (here) between now and 30 June 2017 for stays before 31 December 2017 to get this great deal !